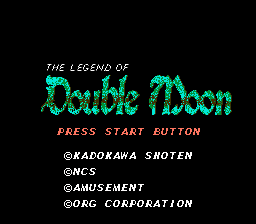 Hey folks, I'm looking for someone to do a new title screen design for my Double Moon translation. I'm looking for something that is a little closer to the original Japanese design. 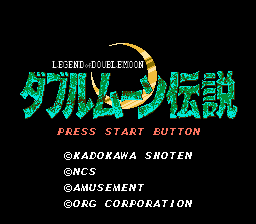 A mockup is fine and please remove the moon from the mockup as it is not part of the graphic, but a separate sprite. Hey, that's looks pretty good. You have my thanks! 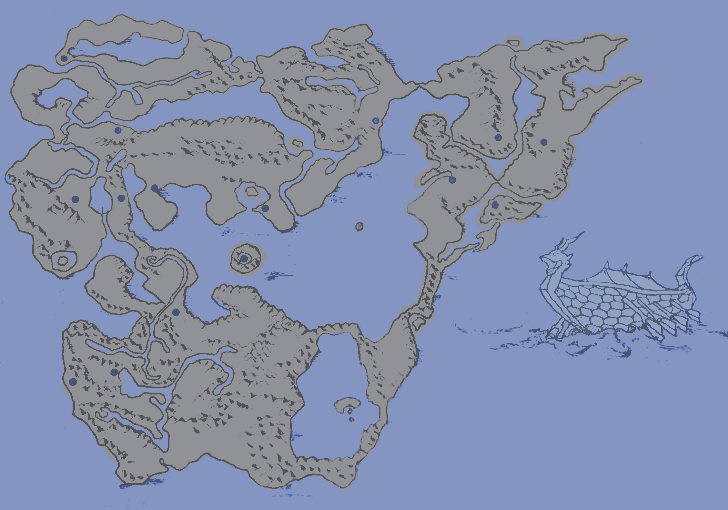 I found this world map online and it was an immense help to me and I figured instead of including a link to it, maybe I could find someone to photoshop a translation in the image and make the scan appear less obvious and more professional looking. Like this quick mock-up I did? Looks great to me. Now all the town names just need to be added in and it'll be perfect. Have a list of the translated names used in the translation? Figured I'd just start one thread for all these misc requests of mine instead of cluttering this section with my topics. Anyhow, I got this icon from a game representing the four seasons. It's spring, summer, fall and winter. I'd like a flower for spring, blazing sun for summer, a leaf for fall and a snowflake for winter. Any help is appreciated. Btw, this is for a PSX game, but of course I don't know the color limitations off the top of my head. Glad someone's working on a PS1 title! Farming sim??? Below is an option. For future reference, you should probably avoid JPG. The PS1 usually renders pure black as transparent, and the JPG lossy format added a lot of near-black to the background. I would speculate that this was originally a 256 color image with a single palette or a 16 color image with a separate palette for each season tag. The version below is 256 color. If it doesn't work, it could be converted. I can also send you the sources if you want to play around with them yourself. Hey, that's great. I don't wanna leave a false impression though. A friend asked me if I could find someone to help with this and you came to the rescue! Actually, to be honest, I'm not even sure it's from a PSX game. He's translating both a PSX and Saturn game at the moment... 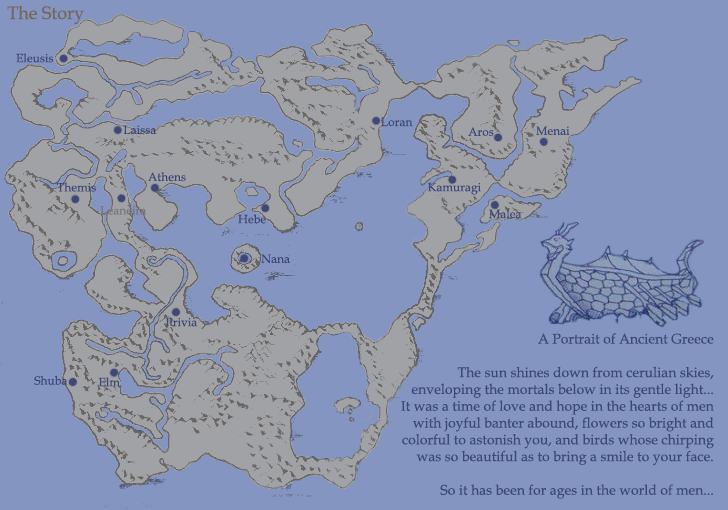 But I can tell you this, it's not a farming sim, but from a bona fide RPG. He's shown me some cool screens of progress, so maybe something can eventually be announced or posted about. Anyhow, your work is appreciated. This probably wasn't necessary, but I took my own shot at it. Less colorful, more stylized. Thanks for the designs, Midna. 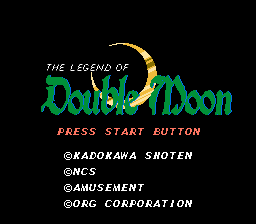 It turns out that the palette is limited to 16 colors as I guess this is a Saturn limitation. We were able to insert your designs into the game, but not weissvulf's. Would you be able to make the leaf more like a maple leaf? Thank you. Turned out a lot better. Edit: Just noticed this: It's spelled "cerulean". I'm looking for someone who would be willing to clean up and photoshop a translation into the manual of Metal Slader Glory. It's ~45 pages with 30 or so containing a manga with the game's backstory. I can give it a go if you have the translation.